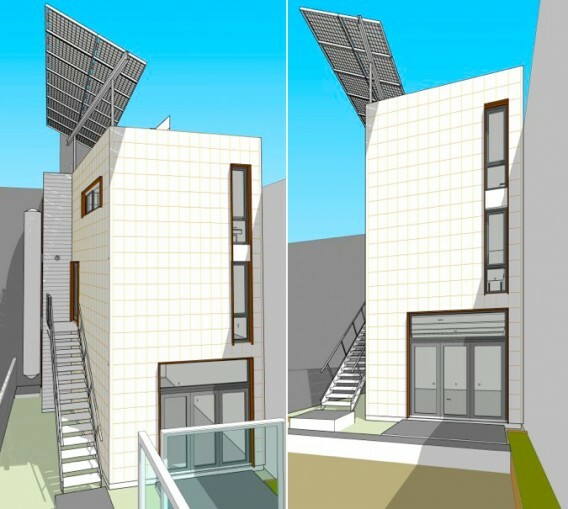 ZeroCottage is a cutting-edge green home under construction in San Francisco. The net-zero energy project by David Baker and Partners Architects is pursuing every notable green building certification around, including the Living Building Challenge, LEED Platinum, Green Point Rated, and Passive House. So far, the ZeroCottage blog includes some insightful commentary on topics such as high-performance windows, air-tight folding doors, wall assembly and the dewpoint, rainwater reclamation, framing scrap, efficient water heating, salvage construction, interchangeable rain screen, and FSC-certified joists. 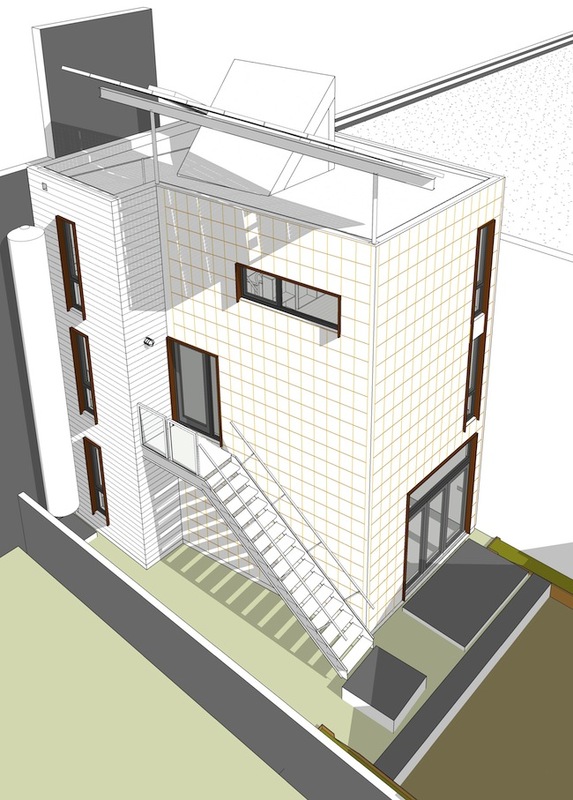 [+] San Francisco’s First Net Zero Passive House. Credits: David Baker and Partners Architects. 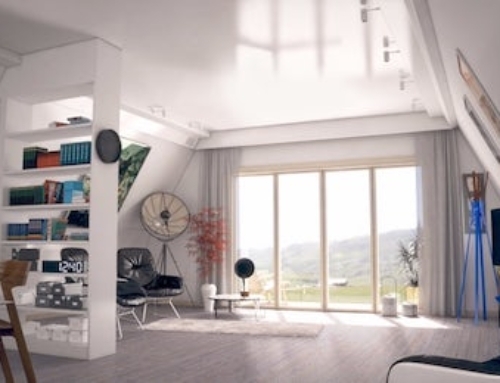 any idea how much the skylight and adjacent wall (that pops up above parapet) interfere w/ PV array, and if this is shooting for CO2 neutral/energy positive? It’s under 1000 SF including the shop. It appears to me the the PV array is at a right angle from the projection of the rooftop “dormer”. This leads me to believe that the PV array has been designed based on sun azimuth which means that under any condition, the dormer would not shadow the PV. At least that is how it appears. Seeking the desired ratings, I am certain the architects have considered and accounted for that. The PV array is not shaded by the dormer. We’re working on the support structure: this is a minimal schematic representation. Has to not blow into the neighbor’s yard. 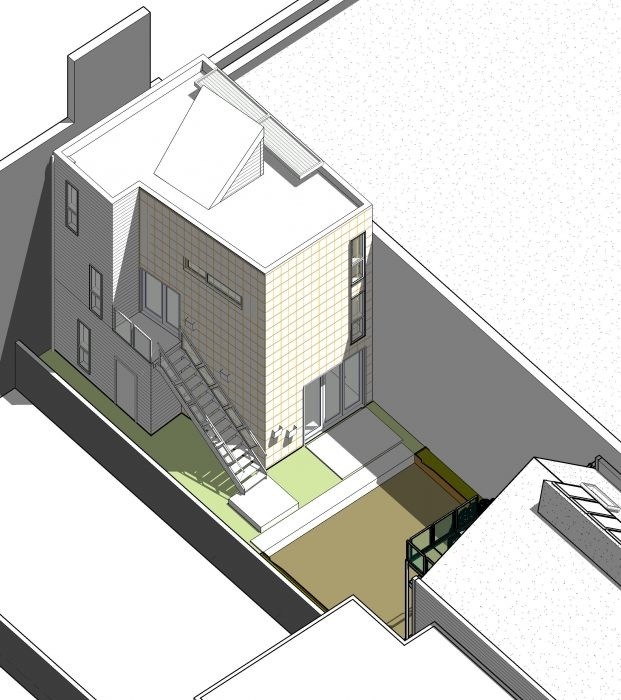 one thing that isn’t obvious here is that the bottom level is a separate commercial space. The living part on the top two floors is a small one bedroom townhouse.